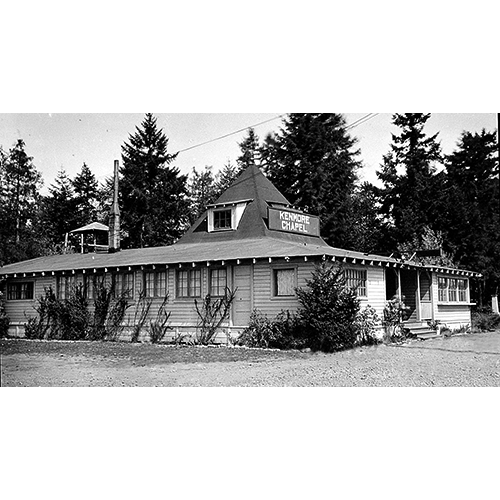 149 First Kenmore Chapel Kenmore’s first worship group purchased a defunct roadhouse, the Tip Top Inn, in 1934 and founded Kenmore Chapel on Bothell Way at 75th Avenue NE. This 1939 photo depicts how the congregation modified the inn to include a sanctuary and built a bell tower (rear). Photo courtesy of Washington State Archives, Puget Sound Regional Branch.